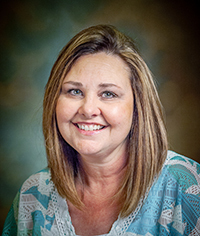 Hello, my name is Regina Stoy and I have been with KCS since 1998. I love to keep the children actively involved in the learning process through hands on crafts, games, and reinforcement. But what is most important, and equally exciting, is getting the opportunity to share the Gospel with the children. We learn about Jesus through Bible stories, personal experiences, and in all areas of our curriculum. They get to know our Lord and how much He loves them! My husband Greg is a Battalion Chief for the Dallas Fire Department. We have been married for thirty-four years and are blessed with two sons and one daughter-in-law. Our oldest son Will received his Master of Arts in Biblical Counseling from Dallas Theological Seminary. He is the Executive Director Stonegate Drug and Alcohol Addiction Center. His wife Sarah received her Master of Social Work from UT Arlington and is a 4th grade math and social studies teacher for Crandall ISD. Our youngest son Taylor is currently pursuing a Master of Theology degree from Dallas Theological Seminary. We are members of First Baptist Dallas where we are involved in Sunday school and outreach. It is such a blessing to serve the Lord at KCS!